Ruth Hedges is from the early days of crowdfunding in the United States. 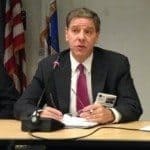 Part of an original group of committed individuals who advocated on behalf of updating antiquated securities regulations, Hedges is a founding member of the Crowdfund Intermediary Regulatory Advocates (CFIRA); the group originally created to help push legislation across the line and legalize investment crowdfunding. Since the very beginning, Hedges has hosted an annual event aiming to connect the diverse sectors of securities crowdfunding, alongside non-securities funding platforms, and this year’s gathering is predicted to be the biggest yet. 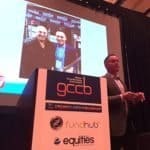 The Global Crowdfunding Convention (or GCC) kicks off in Las Vegas next week with many prominent names from this sector of finance. According to the Cambridge Centre for Alternative Finance, equity crowdfunding (non-real estate) in the US grew by 120% in 2015 going from $271.95 million to $598.05 million. This was mainly under Title II of the JOBS Act or accredited crowdfunding. From a broader perspective, this number is relatively quite small as the private placement market is enormous – pegged at about $1 trillion per year. Today, companies are leveraging two more securities exemptions: Reg A+ and Reg CF. Both of these crowdfunding iterations allow non-accredited investors to make investments in smaller firms. The combination of accredited and non-accredited crowdfunding has the potential to be impactful for both access to capital for firms in need of growth funding and access to investment opportunity for individuals previously boxed out from early stage investing. Hedges believes these early days of internet finance are indicative of a brighter future. 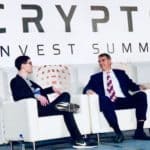 Crowdfund Insider interviewed Hedges this week, and our discussion is published below. 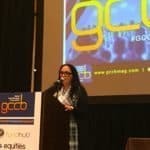 Crowdfund Insider: How is GCC 2016 sizing up? Ruth Hedges: Last year we did a Reg A+ plus event as Reg CF rules [Title III of the JOBS Act] were not yet conclusive. So we did an event around that and the industry people supporting it to help bring it to the marketplace. This year we are very excited as every form of crowdfunding is viable and working – including donations and rewards. I would like to note that GoFundMe has 100,000 people signing up every month. GoFundMe has now topped $2 billion in funding. Bernie Sanders would not have been a viable candidate this year without the power of the crowd. On the securities side, we now have Regulation Crowdfunding and Reg A+. At GCC this year, we will have over 55 startups participating and more than a dozen that will be pitching live from the stage. The entire audience, along with Angel investors, will have the option to invest. If they hear something they like they can become an investor. 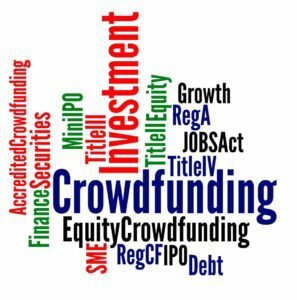 Crowdfund Insider: You have been engaged in the crowdfunding sector in the US from the very beginning. What has changed since 2012 to today? Ruth Hedges: In May 2016, I was in DC to help launch the regulation [Reg CF] I helped to create. Now we have multiple exemptions which entrepreneurs and startups may leverage to get the funding they need. Perhaps one of them will discover a cure for cancer. 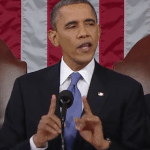 We now have 240 million Americans that can now be Angel investors. We now need to educate them and encourage them to invest it in a startup. These types of events will be a new and innovative occurrence for the average American. I think this is just the beginning. 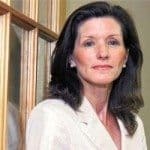 Crowdfund Insider: All three exemptions (Titles II, III, IV) are now actionable. Are they living up to your expectations? Ruth Hedges: I have spent every opportunity I have had to encourage the public and every institution (incubators, accelerators, SBDCs, etc.) to prepare their startups to be compliant with the JOBS Act for the past five years. They could have been building a pipeline of compliant ready deal flow. I have spoken to a lot of people about how many entrepreneurs do not understand what they need to do or the terminology or the mandates. The institutions (colleges, economic development agencies, the SBA, etc.) are doing a terrible job in educating these early stage companies. They should have been encouraging these companies to be prepared. And to build a crowd with social capital. If these institutions had spent time initially to educate, there would have been more startups using Reg CF out of the gate. We should have been working on a deal flow for the past five years. It could have been better, but I think it is doing fine. But it is still early. 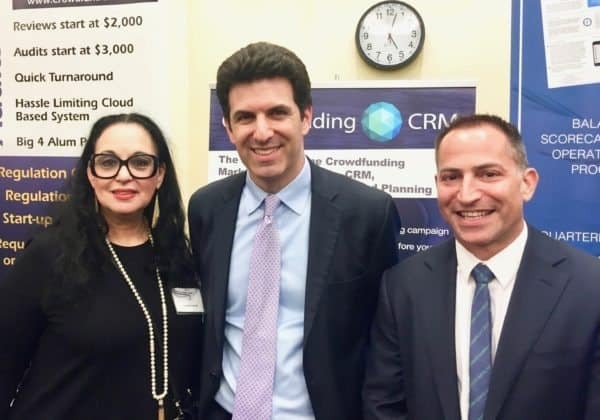 Crowdfund Insider: There are several policy initiatives on Capitol Hill that can improve the ecosystem. What do you believe are the most important initiatives? Ruth Hedges: The original startup exemption (which what this was – when we created the initial legislation) was for startups to avoid all of these regulations. I have a very liberal perspective on this. I think startups should have a business plan they can execute on. One that makes sense. Most Americans have limits on what they can invest, and I think that is protection enough. I think too many of these rules are too onerous. Ridiculous at times. I live in a city where people can throw away their money legally. Red or black. They can mortgage their home and spend it on Roulette. If you walk down Main Street in America, many of those businesses exist because of a bank. Really, ordinary Americans should have the ability and option to help these smaller companies grow. VCs / Angels don’t always show up. Not all companies will become unicorns. That’s OK. Crowdfunding should be part of the DNA of everybody. Colleges & Universities is another sector that should be taking advantage of these new exemptions. They can benefit if Alumni invest in these businesses or innovation. Everyone would benefit. The school benefits. Students. Investors. A win all around. 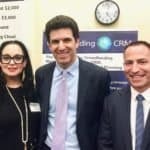 I have created a CRM platform to help issuers solve these problems of creating a crowd. Adding structure. It is called Crowdfunding CRM. Hopefully, I can become part of the solution. Crowdfund Insider: Where do you see the most opportunity for investment crowdfunding? Early stage? Real estate? Mid-stage companies? Ruth Hedges: I think anything and everything. I do not want to discourage anyone. I know a lady who created software that helps farmers know a year in advance what to plant. It is amazing. There is so much creativity out there in need of funding. I think crowdfunding can be applied to early stage and later stage investments. Real estate is a natural fit. Crowdfund Insider: How do you see the industry growing and evolving over next year? Ruth Hedges: I can tell you with absolute certainty it is going to continue to grow. I meet people every day who are now engaged in the sector and a growing number of companies that are interested in using the new exemptions. I would like to see more financial advisors engaged with the space to help fund some of these offers. Think about how social media evolved. Initially, it was an outlier – something few people used. Today it is ubiquitous. I expect the same thing to happen with crowdfunding. I will stake my reputation on that. 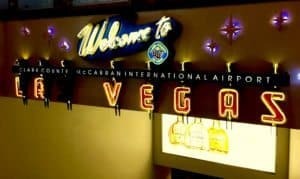 Global Crowdfunding Convention Hits Las Vegas This Week. 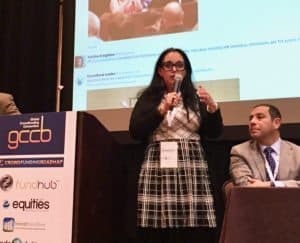 Worldwide Crowdfunding Council to be Held at Event. 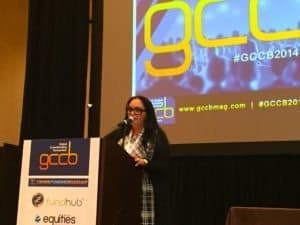 This entry was posted in Featured Headlines, General News, Opinion and tagged event, gcc, global crowdfunding convention, perspective, ruth hedges. Bookmark the permalink.